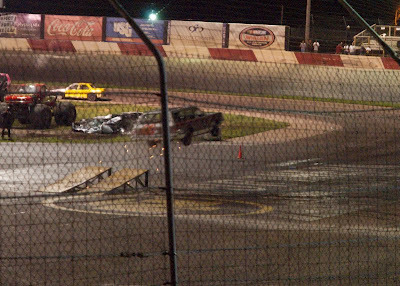 Saturday night, some friends and I went to Eve of Destruction at Elko Speedway. 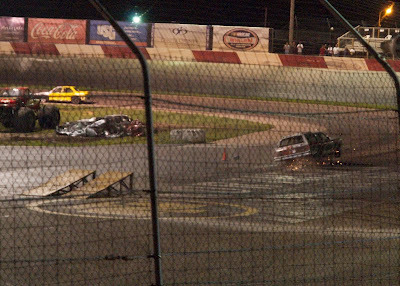 Eve of Destruction is several hours of motorized ridiculousness. 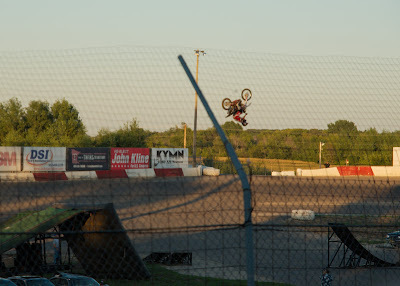 For example, guys who do backflips on motorcycles. I'm not sure how one practices this stuff without getting killed. 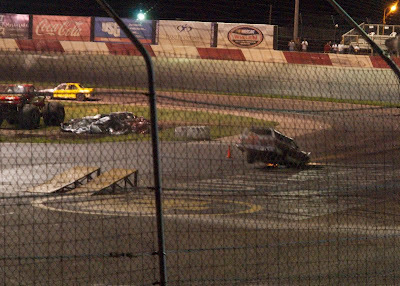 Also, "Figure 8" racing, which is exactly what it sounds like. 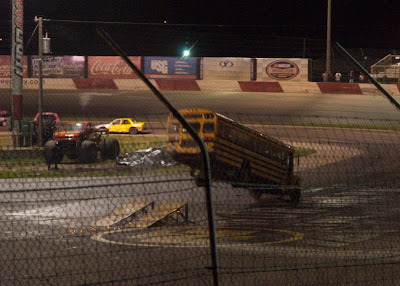 It may be shocking, but these two guys did not crash into each other. 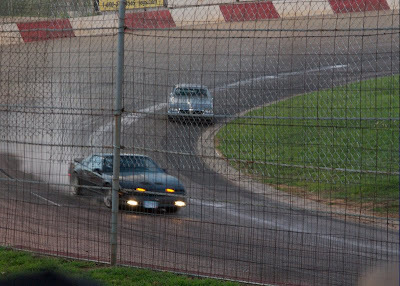 Also, spectator events, when you can bring your own car in off the street and race it. 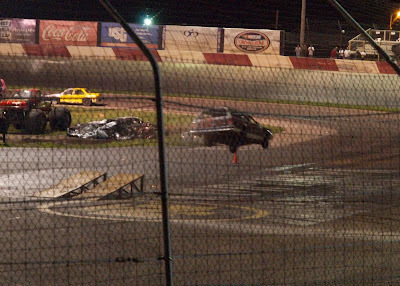 2nd to last was the "Dukes of Hazzard" jump, where you can bring your own car and drive it off a jump. 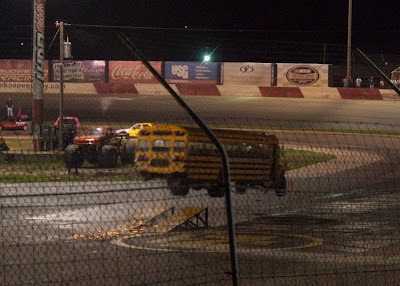 Winner is whoever jumps the farthest. But what's better than jumping a 1970's wood panel station wagon, a Suburban, and a minivan? 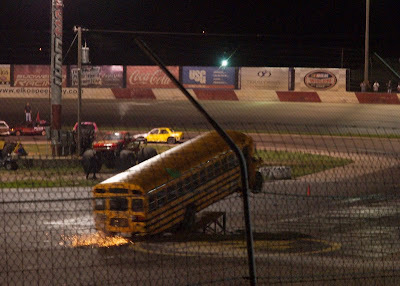 How about a SCHOOL BUS!??!?!?! 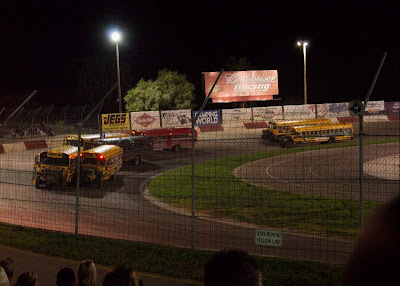 Last but not least is School Bus Racing, which again is exactly what it sounds like. 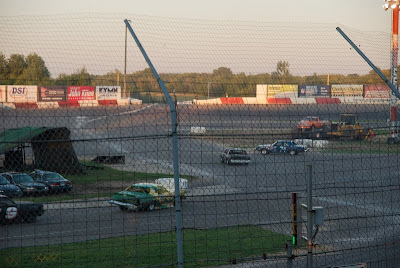 It's much slower than the regular car racing and absolutely hilarious, especially when they go figure-8. 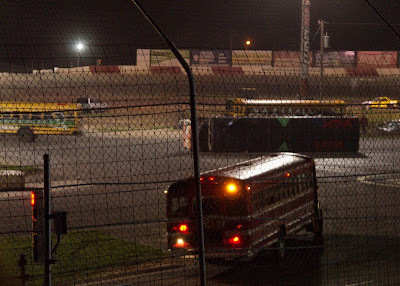 Sadly, this time the school bus racing didn't last too long because a guy tipped over and apparently there wasn't time to right him and continue. I wonder if their permit to operate only goes to 11:00.